Pandariot779 goal is to introduce the world to cosplay through photographs taken at conventions and at photo shoots. Visit site here pandariot779.com. 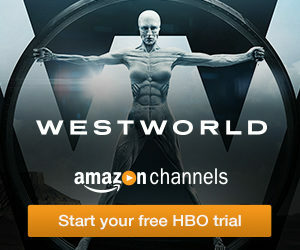 All the cosplay photos on the web site are 100% free. 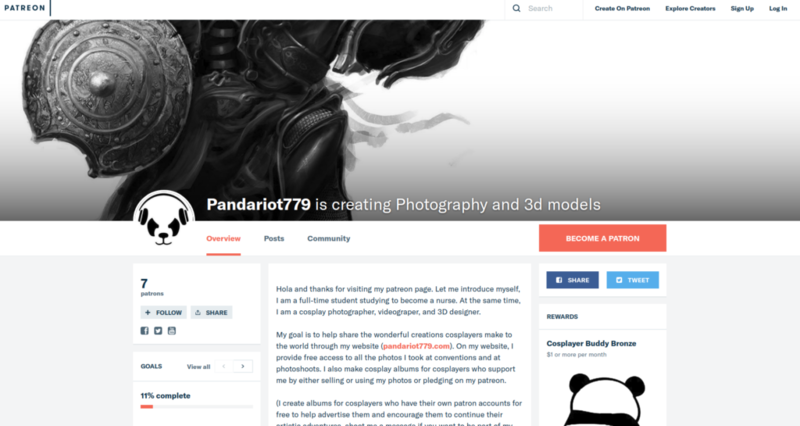 In addition to Cosplay, Pandariot779, is also very interested in 3D Design. Specifically a designer/arduinoNERD. Using blender and Autocad Pandariot creates 3D printable objects for people. If you’re at a Cosplay Convention Pandariot779 is at, be sure to look for 3D Printed Pokeman hiding throughout. Not only does Cosplay have entertainment value the goal is to use site/social media to advocate for Cosplayers. 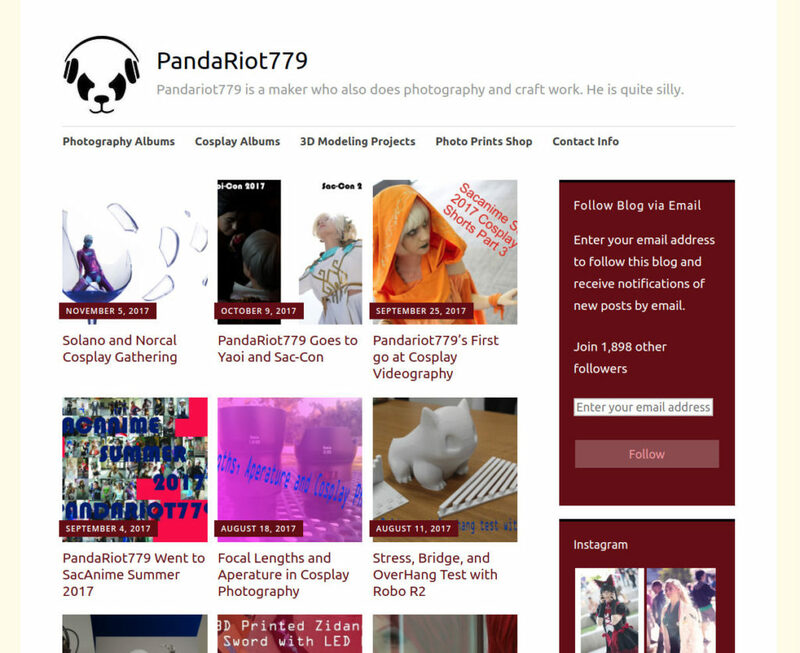 Pandariot779 will post a cosplay shoot once a month, post a cosplay video once every 3 months, provide free photos on my web page, and create hidden 3D Printed Pokemon for conventions attended. Yes, there are several Patreon rewards. 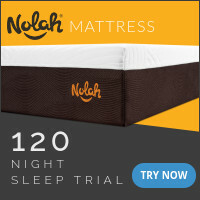 $1 gets you early access to photos, may be part of album page, and access to exclusive photos. $2 gets you definite access to album page and previous rewards, $3 or more gets you more photos, and all previous tiers. Very reasonable rewards. The goal is to get to $300 month to help fund photography and 3D printing equipment. Photography and 3D printing are very expensive hobbies and donations will go towards better equipment. All extra money will go towards giving back to Cosplayers and Patrons.